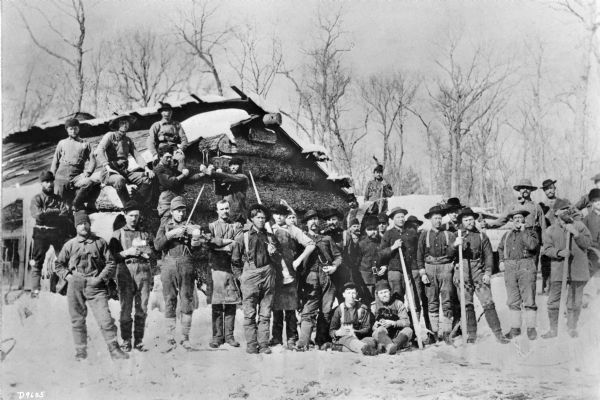 Group portrait of a large logging crew posing outdoors in the snow at their camp in front of a log building. One of the men is playing a fiddle or a violin, and two men are posing with their fists up as if ready to fight. One of the men sitting on the ground in front of the group appears to be holding a dog.